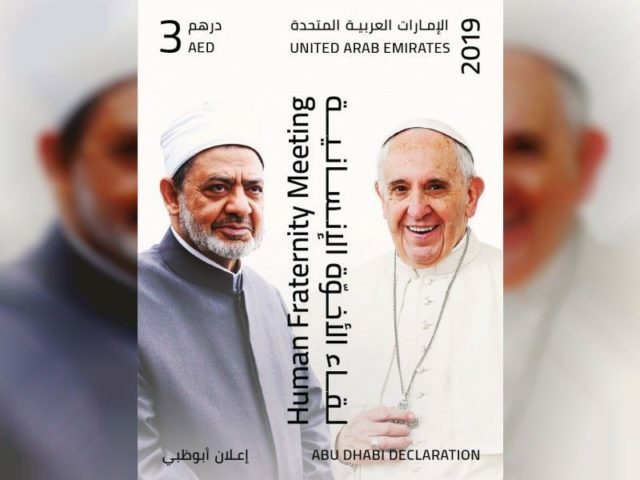 Emirates Post has issued a commemorative stamp to mark the Human Fraternity Meeting held in Abu Dhabi between Pope Francis, head of the Catholic Church, and Dr Ahmad el-Tayeb, Grand Imam of Al Azhar Al Sharif. The meeting was held in the presence of Pope Francis, the head of the Catholic Church, and Grand Imam Dr Ahmed Al-Tayeb Sheikh Al-Azhar. The commemorative stamp, decorated with the picture of the two prominent religious figures, Pope Francis and Grand Imam Dr Ahmed Al-Tayeb, reflects the values of the UAE’s founding father, the late Sheikh Zayed Bin Sultan Al Nahyan, and demonstrates the supreme humanitarian message of the UAE and its keenness to promote interfaith dialogue and the solidification of good and peace throughout the world, said a statement. 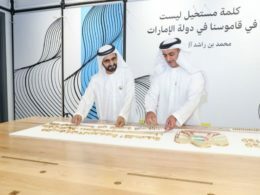 Abdulla Mohammed Al Ashram, acting group chief executive of Emirates Post Group, emphasized how The Human Fraternity coincides with the UAE’s announcement of 2019 as the Year of Tolerance. This historic meeting also highlights the UAE’s rich diversity as a country in which more than 200 nationalities from different religions, ethnicities, and faiths live in harmony. “We are proud to issue this commemorative stamp as a testimony of this visit and to show our pride in our nation’s experience and a long legacy of peaceful coexistence. 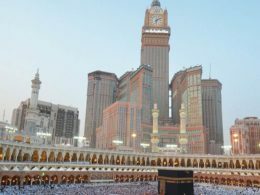 We aim to highlight its efforts to build bridges of communication and harmony amongst different religions, creeds and races, to promote world peace and tolerance,” he added. The commemorative stamp will be available at all Central Customer Happiness Centers across the UAE for Dh3 ($0.82) by February 7.